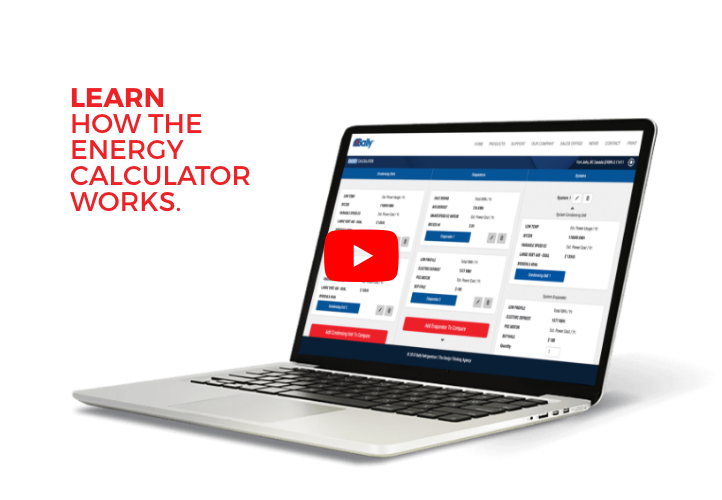 Bally Refrigeration’s desktop or mobile Energy Calculator lets you input your equipment selections giving you meaningful energy consumption data and operating cost estimates based on your location. Utilizing energy costs and weather data for most major North American cities, refrigeration professionals can easily create and compare ‘What if” scenarios that best fit their needs. Our new Energy Calculator can help you with your ROI calculations based on your equipment selections. Adding options from our suite of energy saving technologies can enhance these savings. Compare multiple condensing units, multiple evaporators or complete systems to create various choices to use as part of your proposals and submittals.